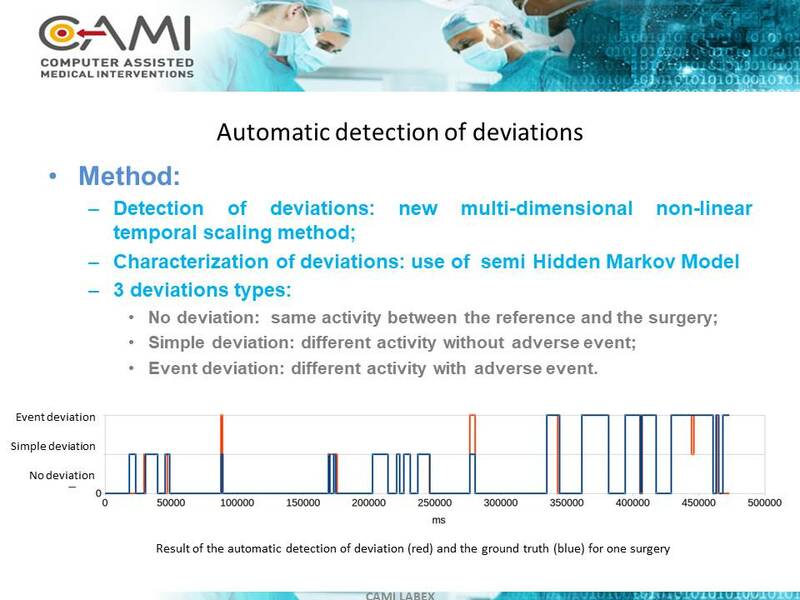 Dergachyova O, Bouget D, Huaulmé A, Morandi X, Jannin P., Automatic data-driven real-time segmentation and recognition of surgical workflow. International Journal of Computer Assisted Radiology and Surgery. 2016; 11(6):1081-1089. 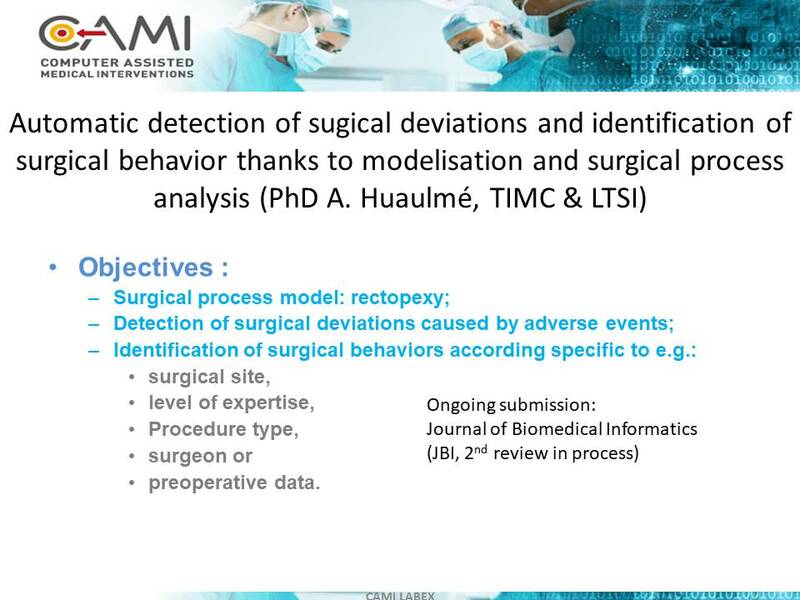 Huaulmé A, Voros S, Riffaud L, Forestier G, Moreau-Gaudry A, Jannin P. Distinguishing surgical behavior by sequential pattern discovery. J Biomed Inform. 2017 March;67:34-41.